Earn $7.19 in VIP credit. Click to Learn More. 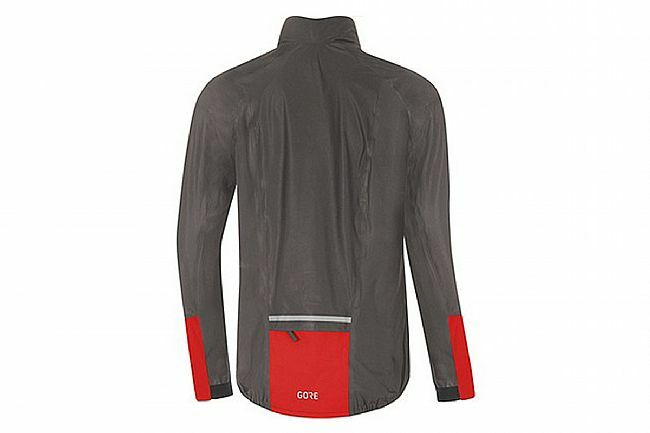 The Gore Tex C5 Shakedry 1985 Viz Jacket proves that weatherproof performance doesn't have to mean a big, bulky jacket. 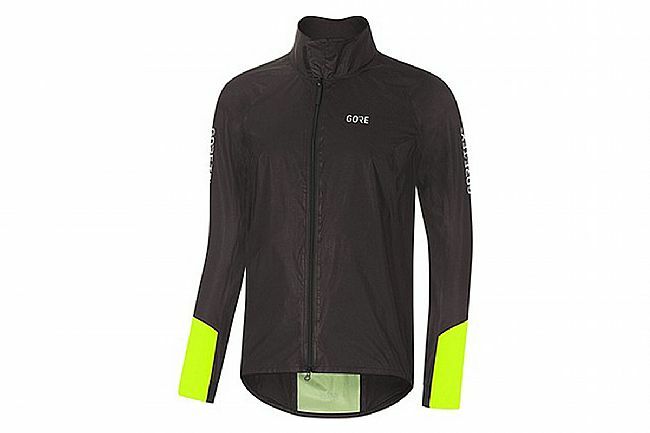 Part of the Gore-Tex ACTIVE line, this featherweight jacket utilizes Gore's Shakedry™ technology for the highest level of protection. This Viz version has been engineered for high visibility, featuring paneling that provides increased safety in low light conditions. The secret to the Shakedry fabrics remarkable performance and featherweight properties is an example of Gore Wear's ingenuity. By removing the outer textile layer which gets wetted out and is difficult to dry during use, Shakedry fabric essentially is a technical membrane applied directly to the lining. This allows even heavy rains to bead and flow off the fabric, rather than collect. The hydrophobic fabric provides incredible breathability, blocking out rain and water while allowing hot air and water vapors to escape. Featherlight water- and windproof jacket that is ultra-packable. Gore-Tex Active product line: extremely breathable, waterproof, and windproof. Shakedry technology for lightweight protection, simply flap the surface dry during storms. Reflective paneling for improved visibility and safety in low-light conditions. Adjustable collar with velcro for optimum fit and protection. Reinforced hem for easier closure of zipper.